Logitech has launched a new video-calling service which the leading web-cam manufacturer is claiming to provide video calls for technophones. 'Logitech Vid' boasts a streamlined setup and a simple user interface dedicated to video calling, so that even the least technically-minded user can get online and start making video calls to friends and family with ease. TechRadar spoke with a Logitech rep who assured us that the highest quality framerate and resolution for video calls on Logitech Vid was better than most other video calling services currently on the market. We've requested further details on resolution and framerate from the company and will be sure to test out the service very soon. "Video calls have always offered the promise of strengthening the connection between you and your distant friends and family," notes Logitech's release. "But for many, getting the software and hardware to work has been a challenge. If you've been waiting for a simpler way to make a video call, Logitech Vid is the answer – the free, fast and easy way to make true-to-life video calls with your Logitech webcam on a PC or Mac computer." Logitech claims that you can set up Vid in fewer than half the steps required by the major instant-messaging programs such as MSN, Skype or AIM. The key feature of Logitech Vid is the software's ability to optimise the speed and resolution of your video call so you always get the best possible frame rate and resolution for the webcam that you are using. Vid is set to be bundled with all new Logitech webcams and sets itself up automatically when you install your new device. It connects to your friend or family member you wish to videocall using their email address. "Video calling has been around for more than a decade, but Vid truly has the potential to make video calling one of the primary ways that people stay in touch with their loved ones," according to Gina Clark, general manager and vice president of Logitech's Internet Communications business unit. Vid is available for download at www.logitech.com/Vid. 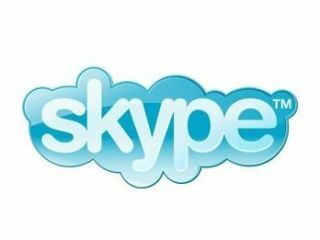 TechRadar will be testing it out head-to-head with Skype and we'll bring you our first impressions shortly.